Poland appears to have enacted a seemingly inexplicable pivot towards Turkey after President Duda welcomed his Turkish counterpart on a one-day visit to Warsaw earlier this week to attend a business forum. This in and of itself wouldn’t be a newsworthy event except that the conservative ruling party reiterated its liberal predecessor’s support for Turkey’s admission to the EU. Many observers are struggling to understand why a staunchly right-wing European government which openly embraces its almost ethnically homogeneous country’s Christian heritage would want a majority-Muslim country nearly two times its size to join the bloc, especially considering how proud Poland is of the fact that it has yet to accept even a single forcibly relocated Muslim migrant. The apparent ideological contradiction of Poland backing Turkey’s EU bid against this contextual backdrop is obvious, but the reason behind its position is nothing more than pure pragmatism. 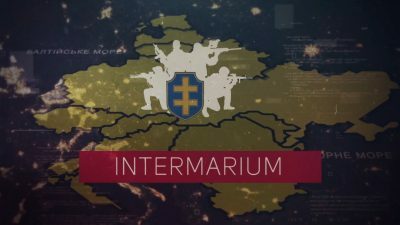 To explain, Poland is staking its 21st-century geostrategic future on leading a collection of Central and Eastern European states that its interwar leadership historically referred to as the “Intermarium”, and which is nowadays manifested by the 12-member “Three Seas Initiative” uniting the EU member states between the Adriatic, Baltic, and Black Seas. Warsaw harbors no imperial ambitions in this regard unlike it did in the past, but instead envisions its comparatively larger demographic and economic size creating a new center of gravity in the broader region, which it hopes will allow it and its partners to more successfully push forth pro-sovereignty EuroRealist reforms in the EU and also function as a more complementary component of China’s One Belt One Road global vision of New Silk Road connectivity. Turkey fits into this geostrategic equation when it comes to China’s plans for a South Eurasian transport corridor passing through Central Asia, Iran, and Turkey en route to the EU in order to complement its northern one across Russia via the Eurasian Land Bridge project, so it’s therefore natural that Poland would seek to partner with this Silk Road anchor state. In addition, the two countries historically coordinated with one another at times in a pragmatic and Neo-Realistic manner against their shared Russian rival. In the present day, however, it’s Germany that they’re both concerned about for different reasons, and Poland would be delighted if Turkey joined the EU because this would require a fundamental restructuring of the bloc that would inevitably diminish Berlin’s domineering influence. As for the polarizing issue of prospective Turkish Muslim migration to Poland, it’s doubtful that this demographic would go to the Central European country anyhow because there aren’t even enough jobs for native Poles there, which is why approximately 8-10% of Polish passport holders live outside of Poland. Moreover, there’s a socio-cultural tradition shared among most Poles to prioritize hiring compatriots and civilizationally similar migrants such as Ukrainians who are more likely to assimilate and integrate with the least amount of difficulty than to recruit civilizationally dissimilar foreigners such as Muslim Turks to satisfy the country’s low-wage labor demands. Both sides are aware of all these factors, so bearing everything in mind, Poland’s statement in support of Turkey’s EU membership bid is important for symbolic but also substantial reasons. When it comes down to it, Poland is just “trolling” Germany in a sense and dispelling the false Mainstream Media narrative that Poles and their government are “Islamophobic”, but it’s also importantly demonstrating that pragmatic inter-civilizational cooperation is possible between two of Western Eurasia’s most strategic pivot states despite the complicated geopolitics of the New Cold War.